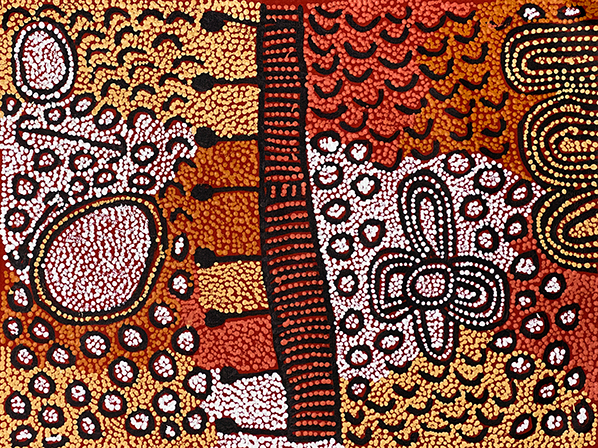 Yinarupa paints her traditional lands at ‘Ngamurru’, which is located in the Kiwirrkurra region. This is a meeting place where women conduct ceremonial business and is an area abundant with the seed of the native acacia. The women collect the acacia seed and grind it into flour. This is then mixed with water to make 'latja’, a type of dough. This is then made into damper bread to be distributed according to traditional ceremonial rituals.